Sebastien Bensidoun is the fourth generation of a family who you can say has French markets in their blood. The Bensidoun family is the largest operator of open-air markets in Paris with more than 80 markets throughout the metropolitan area. 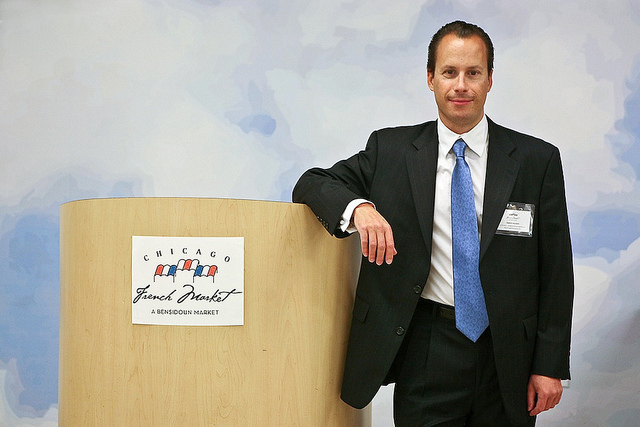 His family’s expertise and entrepreneurial drive, along with the presence of relatives in the Chicago area, led them to open their first U.S. outdoor market in Wheaton in 1997. After opening outdoor French markets across the Chicagoland area, Sebastien and his family turned their sights indoors to a market Chicagoans could frequent all year round. 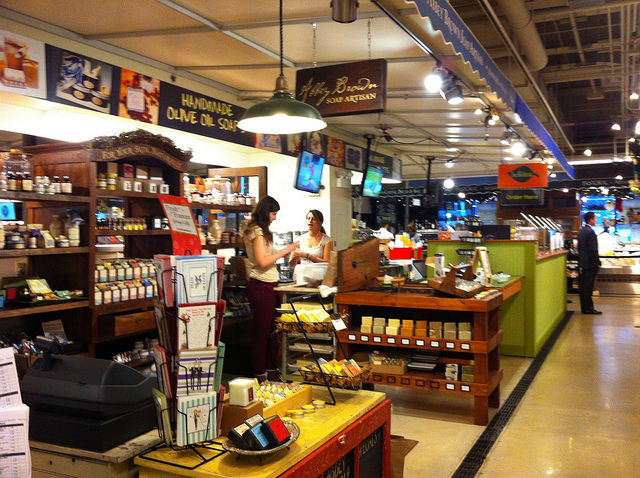 And, the Chicago French Market was born. 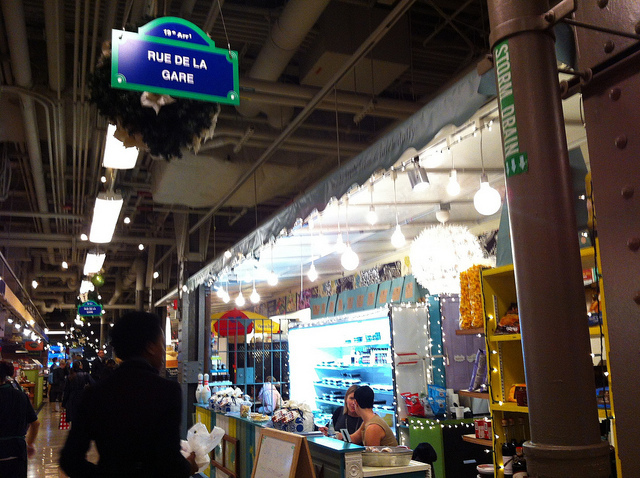 The Chicago French Market is the first and only year-round, indoor French market in Chicago. The market, located in the MetraMarket at 131 N. Clinton St., is connected to the Ogilvie Transportation Center, one of the city’s main commuter hubs. It is open six days a week, and is home to nearly 30 specialty vendors which offer a wide array of produce, meats, fish, seafood, breads, pastries, chocolates, cheese, wine, artisan-made goods, flowers and more. Sebastien and his team are constantly on the lookout for unique local vendors to add to the mix. The Chicago French Market currently boasts the only Chicago locations of RAW, Wisma, Fumare Meats, and Frietkoten Belgian Fries & Beer. Other popular offerings that attract a loyal following include Pastoral Artisan Cheese, Bread & Wine; Saigon Sisters; and Vanille Patisserie. 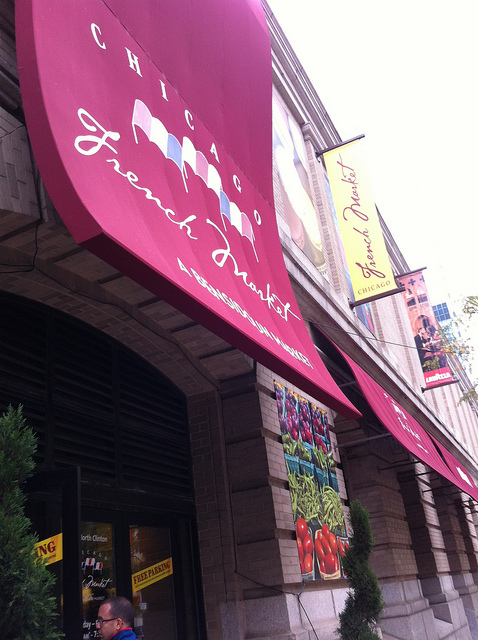 As soon as you enter the Chicago French Market, it’s easy to feel like you’ve stepped into France. 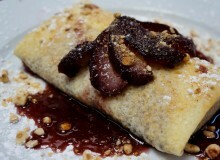 French culinary offerings include macarons, crepes, cheese, wine, bread and more. You can find each of these culinary delights as you browse down aisles named ‘Rue de la Gare’, ‘Rue de Paris’ and ‘Avenue des Champs-Elysées’. 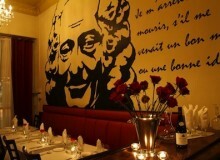 Thanks to a mural painted on the back wall of the dining area, you can easily imagine that you’re dining near the base of the Eiffel Tower. 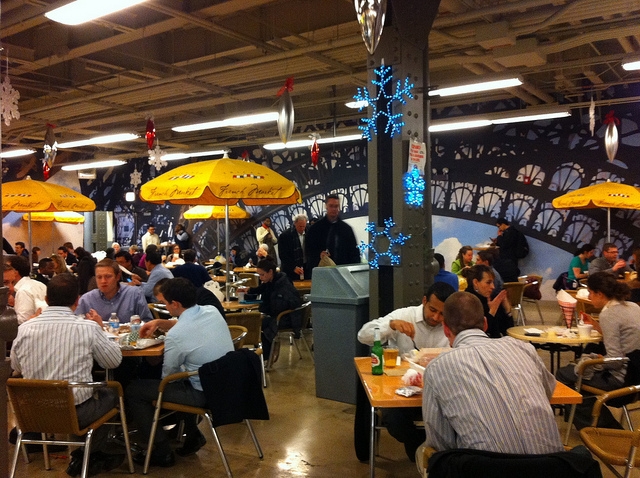 The Chicago French Market hosts a variety of seasonal events throughout the year. 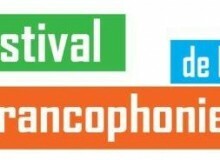 French-inspired events include the recent Marché de Noël, a summer Bastille Day party, and a Beaujolais Nouveau wine celebration. With the success of the Chicago French Market and other outdoor French markets throughout the Chicago area, Sebastien and his family are not slowing down. And that is sure to delight anyone who enjoys finding unique, new foods and artisan goods – especially in a French-inspired setting. 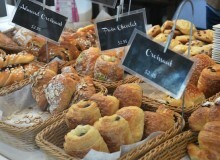 Have you been to the Chicago French Market or one of the Bensidoun family’s outdoor French markets? Please share your favorite markets and finds in the comments below. As a Chicago native, I definitely recommend this market! There is also a very active Alliance Francaise with a French library that I’m addicted to; definitely look for it if you visit Chicago. Thanks for the great story! Thanks for sharing a little bit of Paris on the Prairie!